It happens to all of us at some point. You come up with a story idea you’re excited to get started on. If you’re a plotter, you get it all outlined, hash out your characters, and start working on the draft. If you’re a pantser, you just start writing. And it’s going good for a little while, but the honeymoon period wears off too quickly. You’ve written maybe 10k, maybe 15, and suddenly it’s a struggle to keep going. You start questioning the story. Is it really as interesting as you thought it would be? It feels like it’s slow going, slogging along. 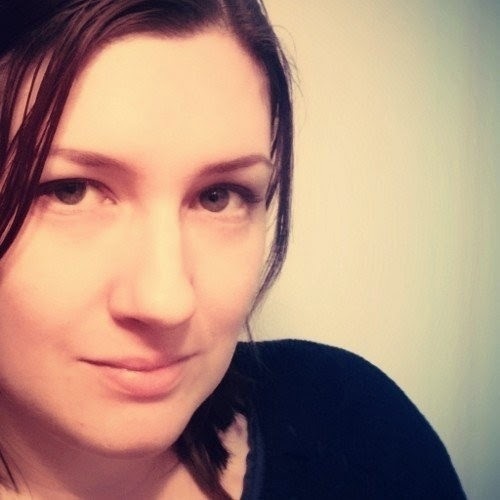 But you’re pretty sure you’ve started it at the right spot, you know your plot is sound, you’re positive your characters have plenty of personality. . . but it still feels like it’s missing that extra “something” that’s going to keep the reader’s interest, and even your own interest while writing it. What’s going on? This actually just happened to me. I’ve rewritten the beginning of my current story three times, and the farthest I’ve been able to get on it is 17,000 words before I lose inspiration. It’s not the story concept; not to sound conceited, but the concept is awesome. I love my characters, and I love the setting. I love everything about it in theory, but something still isn’t right. What is it? What the heck is wrong with it? When this happens to you, take a step back. Put your draft down for a few days and occupy your mind with something else. Then pick it back up and reread it. Look over your notes. Try to approach it with some distance. Then ask yourself some critical questions. The problem is usually fixable if you’re willing to come at your story from a new angle. 1. You’re writing in the wrong POV. Take a hard look at what POV you’re writing in. Play around with it. Have you been writing in 3rd person past? Try you next chapter in 1st person present. Sometimes all it takes is something that simple to change the feel of your story enough to renew your enthusiasm for it. 2. Your characters are the wrong age. 3. You need to twist your tropes. All genres have their tropes. This isn’t necessarily a bad thing. There’s a reason that tropes become tropes—we enjoy them and expect them in our favorite genre—that’s why that particular genre is our favorite. However, as my good friend Carey Torgesen [http://twitter.com/careytorg] pointed out to me the other night, the best stories take those tropes, and twist them a little. Is the prince saving the princess? What if you had her save him instead? Or save herself? Or have a princess save a princess, or a prince save a prince? Or a princess save a pauper? Maybe your draft is feeling lack luster to you because you haven’t twisted up your tropes enough. What can you change in your story that will give it that little something extra that will make it more interesting to read (and write)? 4. It’s not your draft, it’s you. This one’s hard, and I’m not advocating that you give up on a project whenever you start to lose interest, but . . . could it be that the project you’re working on isn’t meshing with where you’re currently at in your life? Maybe your story is dark, but it’s summer, and you’re full of vitamin D, and this story is bringing you down. You’d rather be writing something light and cheerful. Or the opposite: maybe you’re going through a rough spot right now, and this particular story isn’t providing you the kind of outlet you need in order to manage all those emotions. It’s certainly something to think about. Could it be that you need to set this one aside temporarily and work on something else? Think really hard about this before you do it. Maybe a short break will do the trick. Maybe a longer one. And if that’s really the case (be honest with yourself), that’s okay! It’s better to switch to something else more fitting now, than to force your way through it, miserable the entire time, when you could have been writing something more fulfilling. 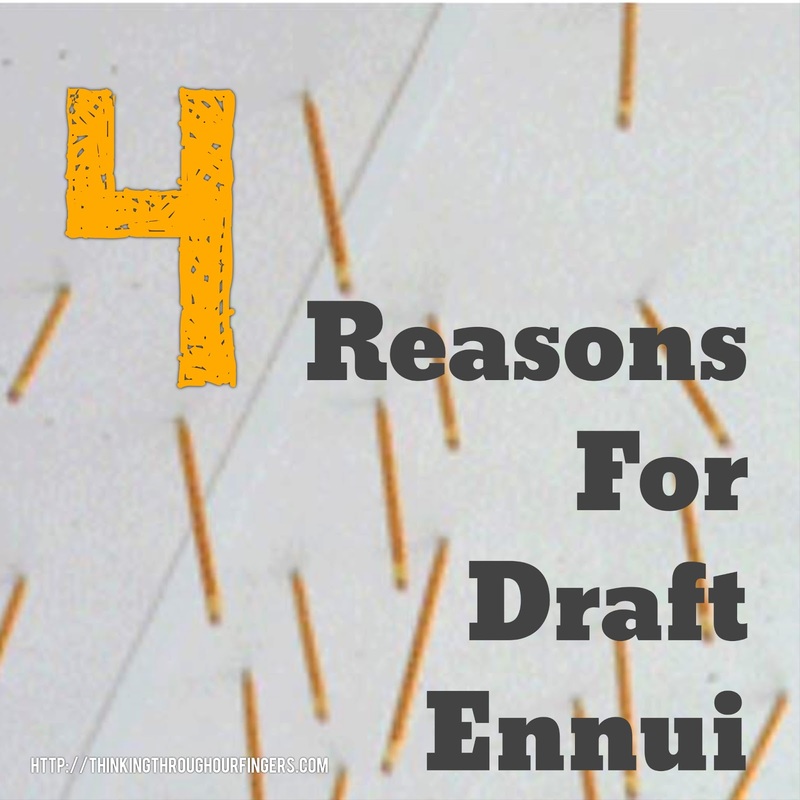 Have you ever experienced draft ennui and found a way to fix it? Let us know in the comments below!